During the month of April, Seton Hill University (SHU) will be hosted a number of musical concerts. Whether you are looking to get involved or just want some entertainment, these will surely get the job done. 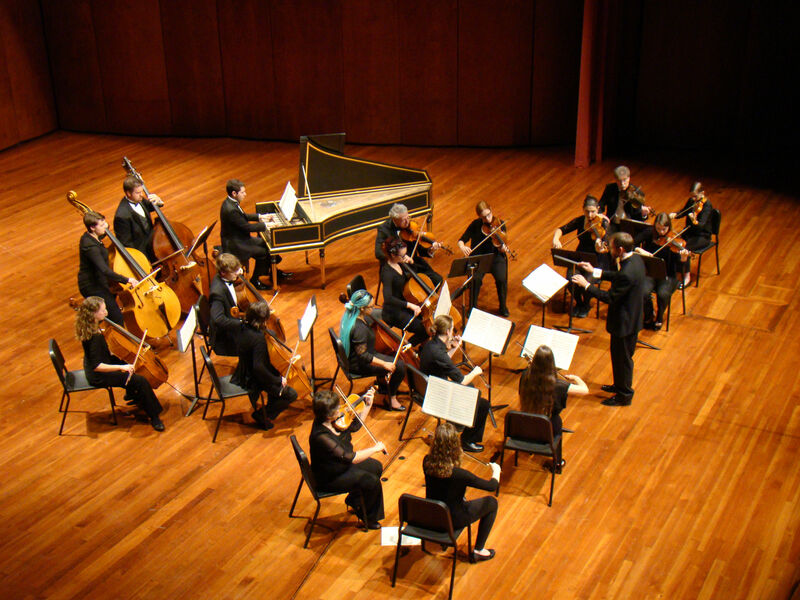 Saturday, April 16 at 3 p.m. SHU hosted the Sinfonia String Festival at the Performing Arts Center in the Concert Hall. “Sinfonia is unique because it is made up of string and wind Seton Hill music majors, non-music majors and members of the local community who love to play the orchestral repertoire,” said David Anderson, the music director and conductor of Sinfonia. The Sinfonia also included a piece from Tchaikovsky’s String Serenade, titled “Elegie.” “This is an emotional piece of music that will rip your heart out,” said Anderson. Anderson said the main event was Joseph Haydn’s Symphony No. 71 in B-flat Major. On Sunday, April 24 at 5 p.m. in the Concert Hall, SHU hosted the Spring Choral Ensemble. Sunday’s show included performances by the SHU Women’s Chorale, SHU Men’s Glee Club and Una Voce, SHU’s chamber choir. “There is always something for everyone in the choral concerts,” said Mark Boyle, director of instrumental activities and coordinator of music recruiting. Saturday, April 30 at 7:30 p.m. SHU will be hosting the Westmoreland Symphonic Winds concert in the Concert Hall. This performance is composed of wind and percussion instruments played by Seton Hill students, professional musicians and other talented musicians. Saturday’s performance is entitled “Legacy: Journey to the Present.” It will highlight music for concert band from the early twentieth century to the present. “Highlights include a new piece of music, completed in January 2016, that pays tribute to the five soldiers killed in the 2015 Chattanooga terrorist attack,” Ellison said. The winds concert will also perform selected movements from Carl Orff’s “Carmina Burana” and will feature two vocal soloists and faculty members, Curt Scheib and Laurie Fox. “I am hoping to gain an even greater appreciation of all of the work that the musicians have done to prepare for the performance as well as the opportunity to make music with them,” said Scheib, professor of music and chairperson of the Division of visual and performing arts. Tickets for any of the concerts hosted by SHU can be purchased online, over the phone, in person or by mail via the Box Office. Students are encouraged to audition for these shows and others. “For Una Voce, we are specifically looking for students who read well and have a confident voice,” said Boyle. Auditions for Una Voce take place at the end of the semester. The Women’s Chorale and the Men’s Glee Club are open to all students without audition. Auditions for Sinfonia in the 2016-17 season will take place in August. 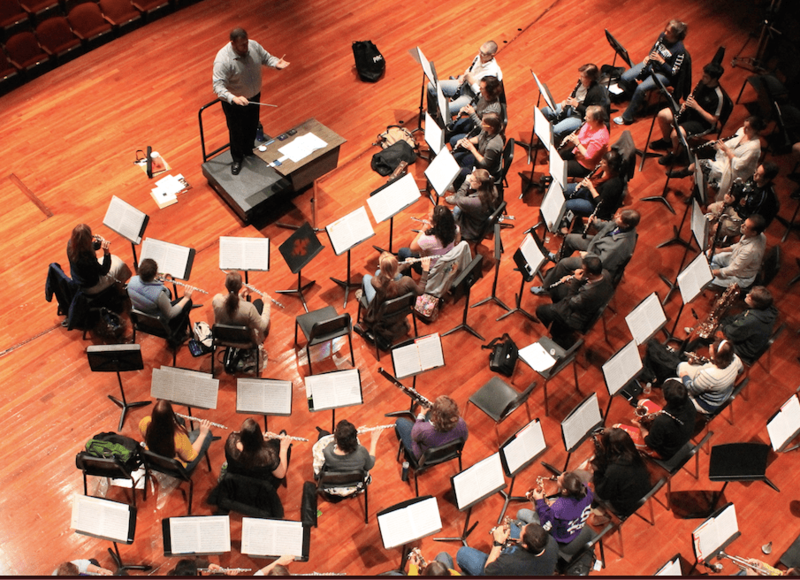 “All string players are encouraged to audition for Sinfonia, and wind players should audition for Westmoreland Symphonic Winds,” said Anderson.